Infant expert Magda Gerber’s contributions to the lives of children are widely acclaimed by educators and child care professionals. Less acknowledged is the tremendous gift her Educaring philosophy is to us. Magda’s theories not only make our job more enjoyable and successful — they elevate the child care experience. They stretch us and engage our intellect, opening our eyes to a new view of infants, and of ourselves. Educaring challenges us to be keen observers. By holding back our impulse to teach, direct, or otherwise intervene when a child plays, we are often amazed by the child’s developing abilities. Through observation we gain insights into the origins of a host of psychological issues, major and minor. Some strike a chord. Parents have reported realizations in RIE parenting classes about personal issues that eluded them for years in psychotherapy. Educaring tests us to understand and bravely acknowledge a child’s feelings when distraction and re-direction seem so much easier. We bite the bullet, and sometimes experience emotional discomfort as we encourage the children in our care to openly express their feelings. Parents can put the money for future therapy bills into a college fund instead. Magda presents us with an ideal to strive for, a relationship based on mutual trust, honesty and respect. Educaring is not just about the baby, it’s about us too. We are encouraged to not subjugate our needs to the needs of our child. The baby cries, and we still go to the bathroom. We both have rights, and his is to voice his disagreement with our action. We tell babies the truth. We don’t have to sing when we don’t feel like singing. Through Magda Gerber we learn that the best way to teach values like honesty, generosity, empathy and forgiveness is to model, rather than force. We’re not the parents and caregivers chanting “Share!” or “Say you’re sorry!” on the playground. Instead, we gently intervene only when children might hurt each other. We become examples of empathy and patience, trusting that our children will initiate empathetic responses authentically in time. Modeling brings out the best in us. One of the greatest gifts Magda bestows on us is the knowledge that infants are self-learners. And this is how a parent or caregiver spells relief. Self-learning means we don’t need to provide any lessons for a baby, and we need not feel pressured by developmental timetables. Infants are internally motivated to learn the things they need to learn: motor skills, communication, problem solving. We provide the foundation of a secure relationship with a caring adult, a safe environment conducive to exploration and discovery, and let nature takes its course. We never have to worry that we are not doing ‘enough,’ or that the child isn’t doing ‘enough.’ Whatever a healthy infant or toddler chooses to do in his safe environment is the perfect curriculum for him on any particular day. We let go of ‘doing’, and are left with observing, learning, enjoying. One of the gifts that I am most grateful for is Magda Gerber’s description of two types of ‘quality time.’ The first kind: “wants something” quality time is when we have a task to do with a baby like diapering, feeding, bathing, or clipping his toenails, and we challenge ourselves to slow down, ignoring our instinct to zip through it as quickly as possible. We try to focus on the experience, talking the baby through each step, asking for cooperation, sometimes dealing with resistance. It suddenly occurs to us, “What’s the rush? Is there anything more important than this time together right now? Why are these moments with a child any less important than his ‘play time’?” The child looks into our eyes as if to ask us what will happen next, and we realize that we are indeed having an intimate moment together. The second kind of quality time, “wants nothing,” can encompass a wide range of experiences, but all we are asked to do is pay attention and have no agenda of our own. It can mean being quietly available as a baby explores patterns of light on a blanket beneath him, or standing nearby while he has a screaming meltdown because he cannot have another cookie. It may be trickier to see the benefit for parents and caregivers in this latter scenario, but it is clarity. When we pay full attention to our child for intervals each day, no matter what the tone of our exchange or the outcome is, we are giving him the quality time he needs. We are doing our job. 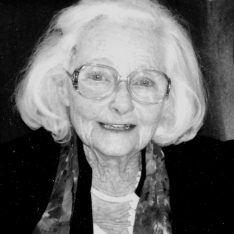 Magda Gerber often described the parent infant relationship as “Two awkward adolescents learning to dance together.” She encouraged us to keep our eye on the prize, a lifelong relationship of love and respect. 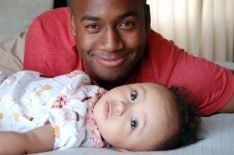 For most of us, this new view of infants as unique individuals shifted our perception dramatically, but also felt like the way we always thought it should be. Whether we are child care professionals, working parents, or stay home parents, we should take pride in this work. Thanks to Magda Gerber our daily experience with children is profoundly enriched. She challenges us to hone our observational skills like scientists, listen to another’s feelings without judgment like psychotherapists, and empty our minds to revel in the moment like Zen Masters. She teaches us to make creative decisions about when and how to intervene so as not to interrupt a child’s process of discovery, and work to be models of authenticity by staying connected to our true selves. And Magda’s most splendid gift of all is a simple truth: child care is the developing relationship of understanding between two distinct human beings. Seeing the beautiful photo of Magda brings back so many memories. Can you imagine the tribute to Magda –if everyone who ever participated in a class at Pacific Oaks or enjoyed the personal attention at the RIE institute –wrote about the impact Magda and RIE had on their lives…awesome absolutely awesome tribute. One of my very first memories came during a visit from Magda to my infant center in West Los Angeles. One of the children in the program exhibited signs of Asperger’s Syndrome so she came as a consultant. As Magda observed the child using a small mat that held pegs, he removed all the pegs from the holes and crawled away. I quickly moved in…to “fix the pegs and put the pegs back into the mat, reasoning that I wanted to make things “right for him” and that if he wanted to pull the pegs out again he could. Sooo. I quickly removed the pieces and allowed the child to put them back if he wanted or leave them ….I do not remember what the child did with the pegs I just remember the many lessons I learned about patience, observation and respect and problem solving. This occurred way back in 1979-1980. After thirty years I do not know where that child is today, but I do know that Magda’s approach to child caring changed my life. Magda’s approach to infant/child care was intoxicating, as an educator and a parent I could never get enough. Her approach to teaching adults left her students hanging on for more. The philosophy made so much sense then and continues to impact parents today. Her classes always seemed to end too soon. Thank you, Janet, for this site and thank you for the continuation of Magda’s legacy and philosophy. Thank you for sharing this great Magda Gerber story. Magda Gerber turned what many consider to be the menial work of child care into a fascinating process. For that alone, I will always adore her! I love your blog and the art of RIE. I am still learning things and have a question. Do you think it is okay to hold your child when he cries to calm him or just let him soothe himself, when he is not hungry? People always say, don’t pick them up all the time, they are going to use that to their advantage, is that true? 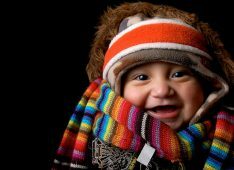 I am a new mother of a 3 month old baby boy and I would like to raise a confident and honest child. I find that guilt makes me want to entertain him and hold him, etc. I feel like there is so much to learn and I would like to learn and provide a good home for my baby. Thank you for the wonderful blog and all the great information on raising great kids. Congratulations on your son!!! I’m so glad to hear from you. I don’t believe you can ever spoil a baby by holding him when he cries. Sometimes we jump the gun a little. When he’s lying on his back “playing” and he starts to cry, you could try going near him and talking to him first, or stroking him to see if he can calm down and play a little longer. Similarly, when he’s trying to go to sleep, he might need to cry a little as he settles in. Try talking, acknowledging, “I hear you crying. I’m right here with you.” It’s not that infants “use it to their advantage” in a manipulative way, but they do get used to whatever we do with them, and then quickly begin to expect that. Try not to entertain him. He really doesn’t need it. Talk to him and be totally connected when you feed him and change his diaper. Then try quietly observing what he does on his back rather than calling his attention to you (which is what happens when we entertain.) Trust him to have thoughts and ideas of his own. He’s going to bring you so much joy and so many surprises…if you trust him to “be”. But you have to cultivate that play time for him. Please keep me posted! Thanks for reading! Your responses are so true to form, as if they came directly from my mother. Brings tears of joy to my eyes. Now that makes my year…at least. Thank you, Bence. I’m new to your site and, have been on and off of it all day. I have loved every entry i’ve read and, have felt in sync with what you’ve written. I had ideas of how I wanted to raise a child before I had my Son in August of 2009 but, they were ideas. To see what is in my heart, the intentions I have regarding the rearing of the precious individual I am fortunate to call my child, has been a relief. Sometimes, I feel so left field when it comes to my parenting intentions, having very few people to find support in but, finding this has helped me feel less alone and has given me confidence and joy in the way i’ve been parenting my child since the day he was born. I find that there are many things that I am learning from your posts, (like this one) that not only reinforce but, illuminate. Thank you, so very much, for taking the time and effort to educate parents and help children. Becky, you remind me why I’m spending my time and energy sharing Magda Gerber’s work. I’m touched, and I THANK YOU for sharing your thoughts with me. I felt absolutely the same way you describe when I discovered the RIE philosophy. You are ever so welcome! When I took my baby to the doctor yesterday, she was astounded that my son had been crawling for a couple of weeks. I had no idea this was “early” because it is my first child. So the first thought that entered my mind was how that time that was so agonizing for me, actually helped my son. 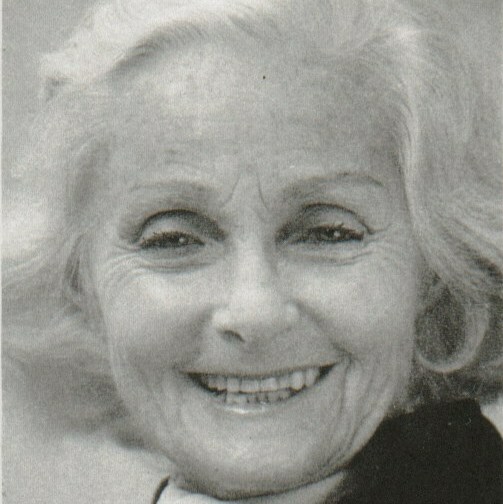 All of Magda Gerber’s thoughts and teachings were really resonating in my mind. Thanks for the post and the reminder to relax and let your baby lead the way. I am sure there will be many more wonderful (and possibly agonizing) moments in our future. The world is a whole new place when you see it through the eyes of your baby. Taking each moment for what it is and not what you want the next moment to be. This has been my intuitive way of raising my children. I never knew it was a “philosophy” until I heard about the movie THE OTHER F WORD. Thanks for the affirmation Magda Gerber! As a grown-up semi-punker, my children (12 & 10) are the most well-mannered, verbose and internally directed children I know. I look forward to the teenage years – I’ve enjoyed each age better than the last. I’ll continue to observe them and gently direct them into their God-willed destiny! Wow! Sounds great, Nikki. Enjoy! I just love reading your posts every chance I get. I’m learning so much more about my beautiful 20 month old Eli by taking a step back and enjoying just observing him at play instead of intervening and trying to direct. I’ve learnt to trust him and his actions, and communicate with him in a much more respectful manner. At the moment Eli spends Monday to Wednesday with my inlaws and, although wonderful with him, they constantly hover, have the tv on for him, and try to direct the play by showing him what to do. play time outside is filled with them saying ‘no’ and ‘careful!’ and following him one step behind. Should I ask that they relax a little, or will Eli learn that its different at Nanny and Poppy’s but still develop into a ‘self-confident baby’. I do not want to offend them in any way as they are helping us so much by looking after him while I return to work out of necessity, but I also don’t want Eli growing up as both my husband and I have – afraid of new things and how to express ourselves. This is one of my favorite posts by you, Janet. I feel like these points are not emphasized enough in some of the RIE teachings. I think a lot more parents would be interested in RIE if it were pitched to them from this angle (not that the other angles aren’t important too). Hi Janet, I have been avidly reading your blog and I bought your wonderful book before I even had my baby! She is 4 and a half months now and has always been a VERY loud baby who wants to be held nearly constantly. I know that you have said that sometimes what they’re used to becomes the need but I don’t feel this is the problem in our case as I have always tried to be mindful of giving her time and space to explore on her own. She seems to get very frustrated very quickly, as in after a few seconds, particularly about being put down on her back or if she is trying to do something that she is not yet able to. I feel I have a good intellectual understanding of RIE, but in practice I am finding it tough. Today I made an extra effort to stay present with her but not pick her up too quickly and to talk to her instead but she kept getting extremely upset and would only calm down when I picked her up and held her upright. I would then try gently placing her back down and talking to her calmly but she worked herself into such a hysterical frenzy. She eventually wore herself out and fell fast asleep with me holding her. This is pretty standard and I often end up having to carry her around in the sling, even in the house to get anything at all done. Am I pushing for too much too soon do you think? When she cries so loudly should I keep talking quietly to her even though she certainly can’t hear me or just quietly hold her? I guess I am finding it tough because I had these expectations of how I wanted to parent and I’m finding it a lot easier said than done. I have other friends with babies who are much calmer and more independent which I find slightly galling when I have been working so hard at it! I think I am pretty good at staying calm and a do feel I am following all the advice that I have read but she just doesn’t seem to be playing ball! Generally caregiving times are great and she is a very smiley baby but she seems to have these extreme changes of mood at the tiniest thing and I can’t seem to get her used to me leaving her alone for a second even if I am in the same room. Needless to say I am feeling a bit tired worn out and disheartened And would really appreciate any insights you might have.